After just missing out on the 2012 and 2013 Most Valuable Player Award, Mike Trout finally took home the trophy in 2014. For the year Trout batted .287 and drove in 111 runs. His 36 home runs were a career high for him, and he led the league in runs scored. Tack on 39 double, 9 triples and 16 stolen bases and you have the most dangerous batter of the 2014 season. This would be the first time he would win baseball’s most prized single season award, with the Angels star repeating the feat in 2016. The 22-year-old star used this Old Hickory bat during that 2014 MVP season. 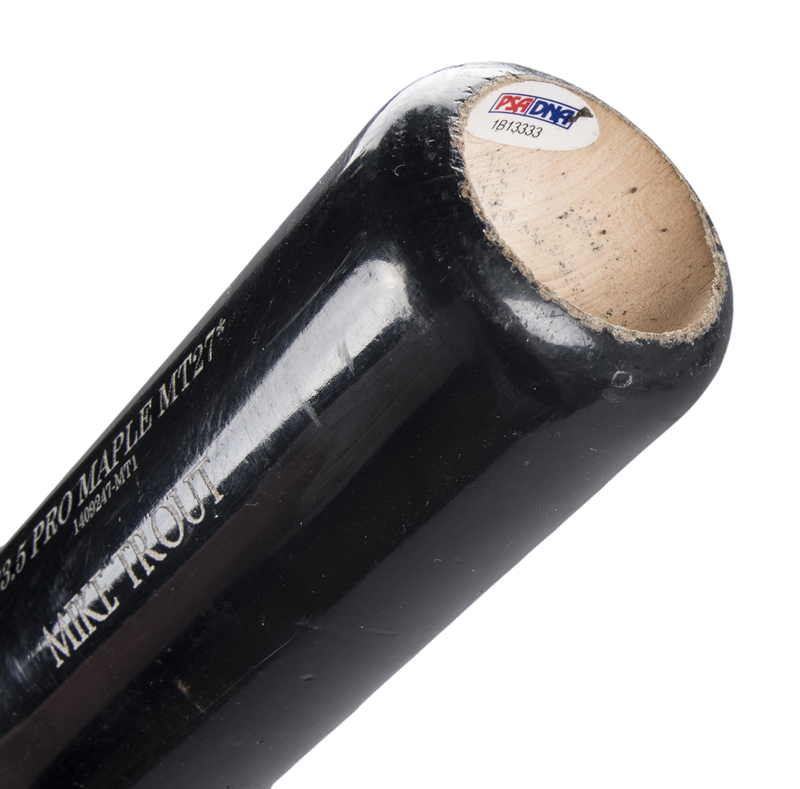 The two-tone Old Hickory MT27 model bat is un-cracked and shows outstanding use by Mike Trout. Many ball marks with stitch impressions can be seen on the barrel along with blue ink transfers and the impression of a weighted batting donut. 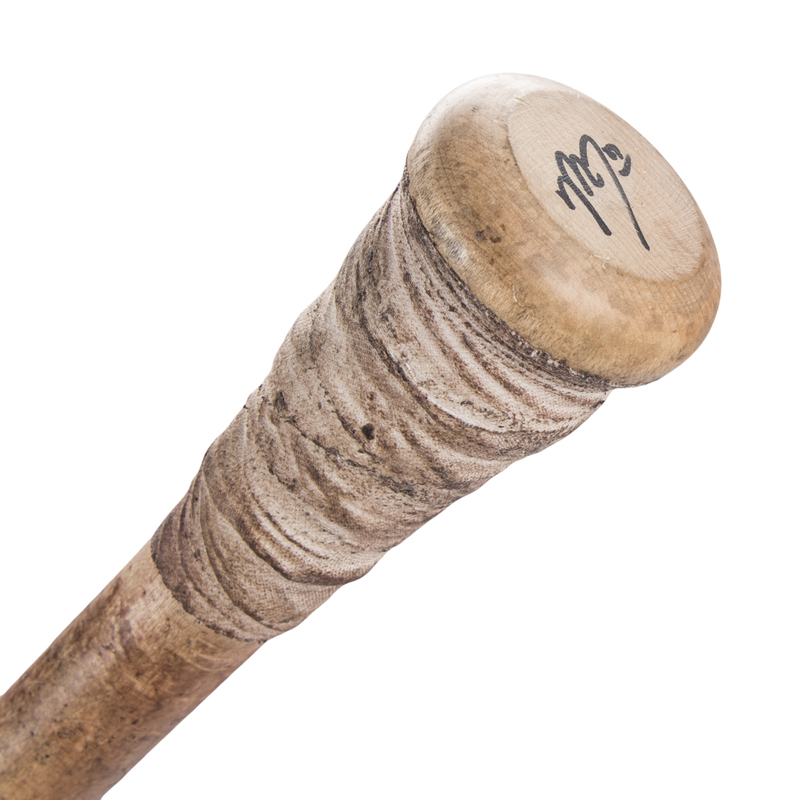 Cleat impressions can be seen on all sides of the bat and a moderate coat of pine tar is on the upper handle and a moderate coat of Mota Stick is on the lower handle. There is a mark on the handle that identifies the grain, which has been mandatory per Major League Baseball for all maple bats since 2009. Additionally, the lower handle and knob has been taped in a spiral of adhesive tape to enhance the grip. 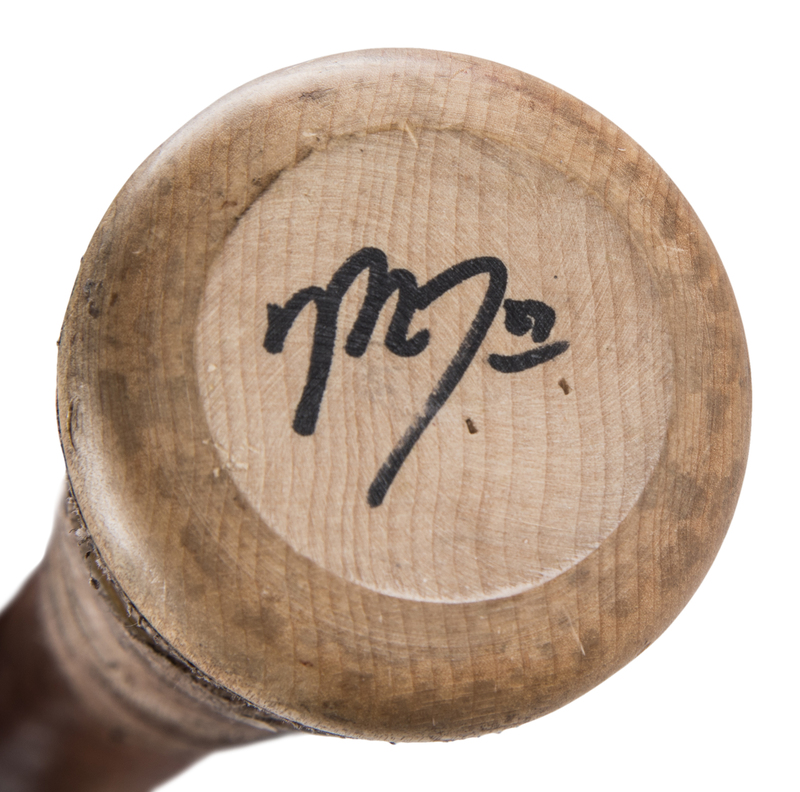 Trout has signed this bat in black marker on the knob end, making this a truly unique game used and signed Trout bat. The bat comes with a LOA from PSA/DNA (1B13333) for the game use and has been graded a near-perfect GU 9. 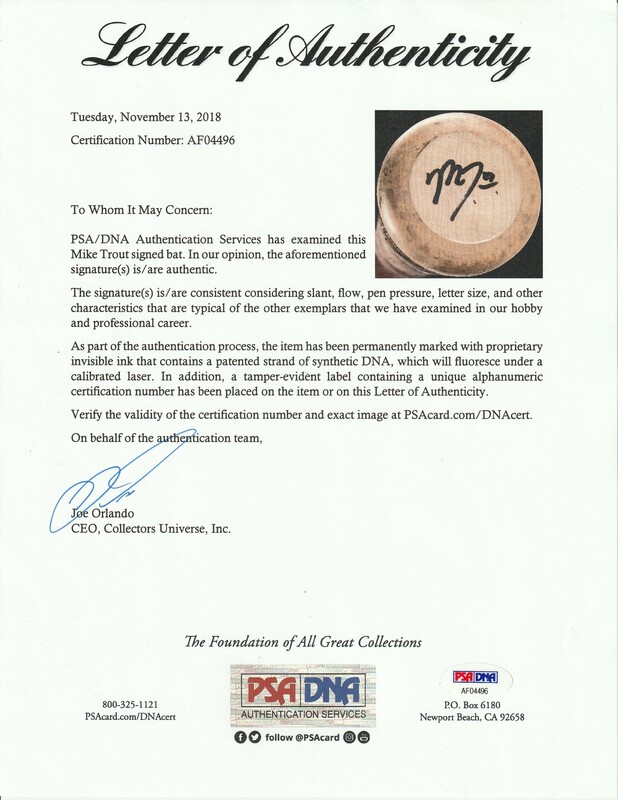 There is an additional LOA from PSA/DNA (AF04496) for Trout's signature.